Fair. Stains on top side **SHIPPED FROM UK** We believe you will be completely satisfied with our quick and reliable service. All orders are dispatched as swiftly as possible! Buy with confidence! Fair. Cover frayed, yellow pages due to age **SHIPPED FROM UK** We believe you will be completely satisfied with our quick and reliable service. All orders are dispatched as swiftly as possible! Buy with confidence! Very Good. * A family saga of epic proportions, SHAMAN is the compassionate story of a nation in the making. Mass market (rack) paperback. Glued binding. Cole. Good. 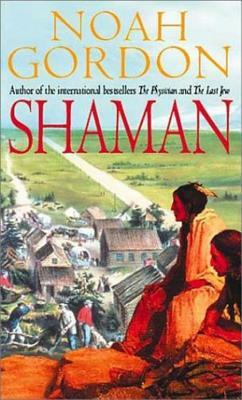 * A family saga of epic proportions, SHAMAN is the compassionate story of a nation in the making. Mass market (rack) paperback. Glued binding. Cole.